Home Gadgets Make your home Smarter with the Lenovo Smart Display with Google Assistant. Voice Assistants built-in Smartphones have made our life bit easier by handling much of our daily tasks such as setting reminders, alarm, making notes and many by just with our voice commands. This new generation technology is developing further and trying to help us in our tasks. When we request something and the response is immediate and correct, it makes us feel good. Voice Assistants have improved so much over time that it mostly gives us the correct information. It also helps us to plan our daily schedule wisely right from weather reports to traffic alerts. It keeps us up-to-date with current happenings which keeps us more informed. Now, get ready to move a step ahead with this next-gen technology as Google along with Lenovo has built a Smart Display which comes with Google Assistant built-in. This new product by Google and Lenovo is called ‘Lenovo Smart Display’ which doubles up the joy. 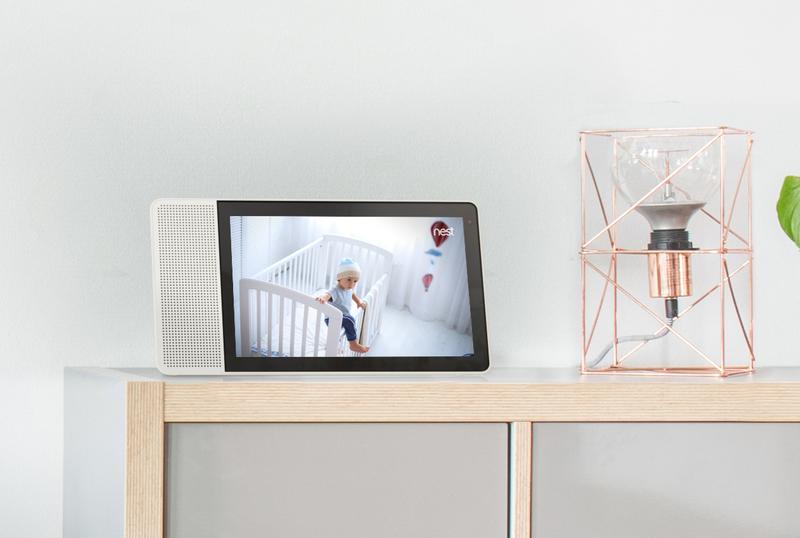 The Lenovo Smart Display with Google Assistant make every day easier and your home smarter. It’s stylish and easy to use. 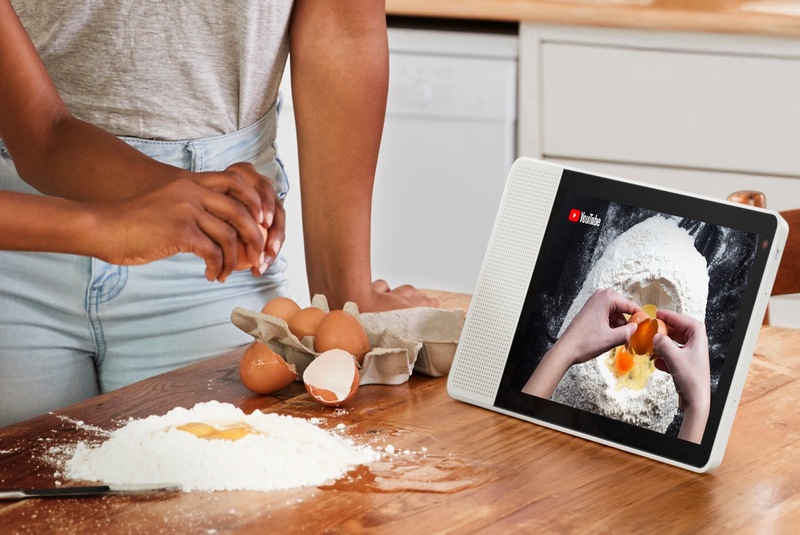 Just say “Hey Google”, and Lenovo Smart Display is there to help, inform or entertain you anytime. Let’s check out the features of the Lenovo Smart Display with Google Assistant and figure out how it helps you. 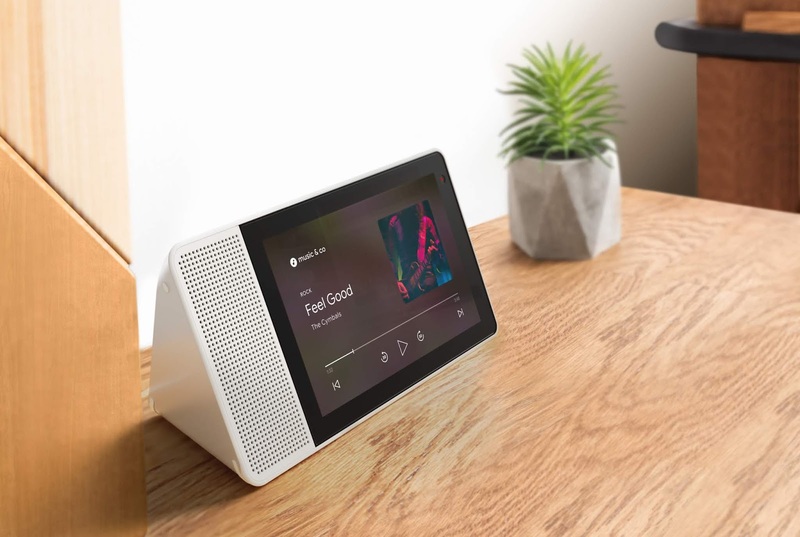 Your Google Assistant fix up your tasks for the day and sets all your reminders with just your voice commands and briefs you everything clearly on the Lenovo Smart Display so that you never miss any important thing. Review your Schedule, Browse recipes and learn them. Another highlight feature of the Lenovo Smart Display is that just greet it with Good Morning and Google Assistant will show you all the updates regarding weather, news and all. Enjoy hands-free and always ready to help specialty from this Smart Display. Sometimes, a picture speaks louder than words. That’s why Google Assistant with Lenovo Smart Display gives you correct answers with images, maps, and videos. Explore the area you plan to visit with Google Maps hands-free, Learn interactively through videos by asking the Assistant, Ask for something across the room and get a response all these features you can enjoy without any hassle. all with just your voice access. Control and monitor your room anywhere from kitchen, living room or bedroom all you have to do is to ask your Smart Display. 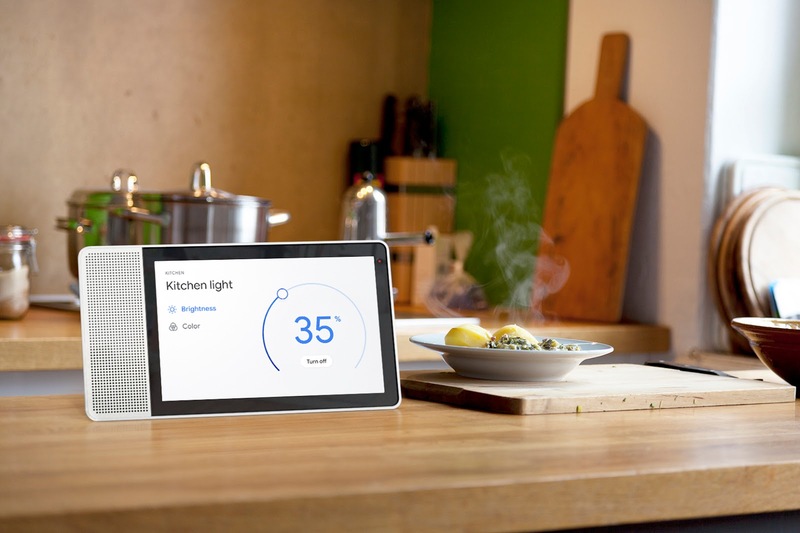 As you spend your time cooking in the kitchen or if some guests have arrived at your house just ask you smart display to play some music or videos on YouTube and make up the moment. Play and enjoy videos on the beautiful screen or listen to podcasts, radio and news anytime without touching a thing. Ask your Smart Display to show your photos and with Google Photos you can cherish your old times from the vacation. Connect with your mates and friends through Google Duo and interact with them by just say the name to the Smart Display and it will do the rest. Also, you can use your Smart Display both in Portrait or Landscape mode and switch off the physical camera when not in use. Pick up your mom’s call even if you’re busy with your breakfast only with your Lenovo Smart Display with Google Assistant. The 8″ variant costs about $199.99 while the 10″ variant costs you around $249.99. 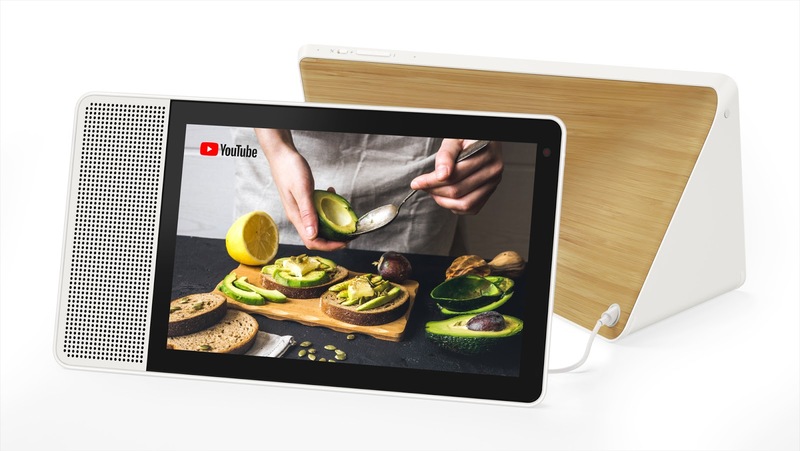 The Lenovo Smart Display with Google Assistant is available to buy now from here and comes with two color options – Grey (8″ variant) and Bamboo (10″ variant). 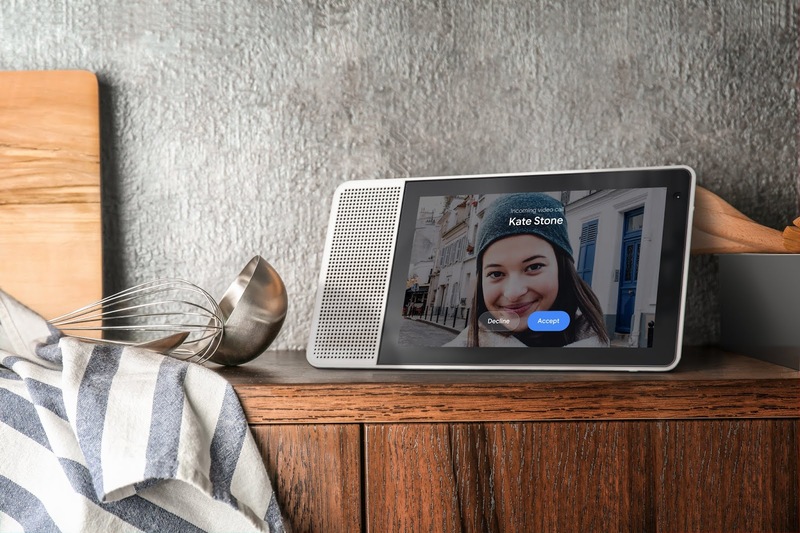 Lenovo Smart Display with Google Assistant is another featured product by Google in collaboration with Lenovo in the market. It comes with the Qualcomm Home Hub Platform delivering excellent performance and images. Its a great device to have in your home and add to your smart home products list because it gives you much more features with just your voice commands and makes your work hassle-free. Google has already entered the market of Smart Home Gadgets with its Google Home which is giving a neck to neck competition to Amazon Echo. Now, with this product’s launch, Google is all set to compete with Amazon’s Echo Show. The product looks promising and good on paper. But, only time will tell if it is able to conquer the market and beat ‘Echo Show’. What do you think? Let us know in the comments section below.